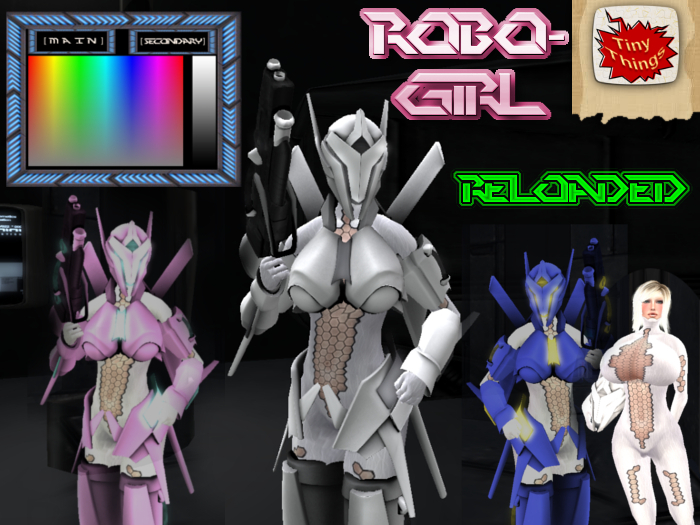 Did you like RoboGirl but you would have liked to customize the colors of the armor? 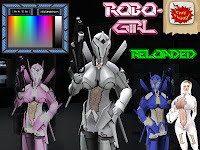 Your dreams came true :-P, today I present you all the reloaded version of RoboGirl. The underclothes are in white color and It comes with a HUD to change the color of the armor. The price is 50L$, also I changed the price of the original RoboGirl to 35L$ for those that are happy with the original color and don't need to change it.